Timberland Professional Landscape Services, Ltd.
Halter Lawn & Landscaping, Inc. Comment: Mow and edge. No fence. Comment: We have a fenced in back yard, small front yard with small hill, and a side yard. Estimated 0.28 acres. We are looking for mowing to be completed every two weeks on average, depending on growth. We have dogs that roam the fenced backyard and would need advanced notice regarding mowing days to make sure they are contained. We also have locked gates to make sure our animals are secure and would need advanced notice regarding mowing days to have those gates unlocked to allow access. We also have a couple flower beds that we would like prepared. We already have a company that treats the yard every so many months for grubs and weeds, so we are not interested in that service. Comment: Grass mowed and trimmed. Comment: My wife and i have health problems. We are looking to have our small yard mowed every other week. Comment: Not sure of square footage, but fairly small. Lost branches in back yard in ice storm. Branches have been removed, but leaves from them are remaining. Need them cleaned up, lawn mowed, possible edging and trimming. Also back deck and wicker furniture needs leaf blown from winter leaves accumulation. Depending on cost, possibly a regular job during summer/fall. Miamisburg Lawn Care Services are rated 4.57 out of 5 based on 2,026 reviews of 25 pros. 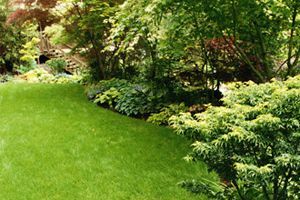 Not Looking for Lawn & Garden Care Contractors in Miamisburg, OH?